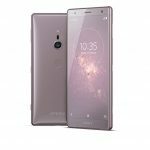 Sony Xperia XZ2 is the company’s latest flagship with curved back and rounded edges with Sony’s trademark by an 18:9 LCD display. Sony has done a great job with the camera part by installing a 19MP Moiton Eye camera capable of shooting 960 fps and 4K HDR video recordings. With massive storage and top edge Snapdragon 845 processor, this phone is a real beast but with an unrealistically huge price tag.